Brown Bag Films are one of the world’s leading animation production studios. Brown Bag Films have received Emmy awards and Academy Awards nominations. They consistently deliver animated content to Disney, BBC, RTE, Nickelodeon and many more. Brown Bag Films have in excess of 250 employees in Ireland from largely multinational backgrounds. Locations: Dublin, Ontario and Manchester. 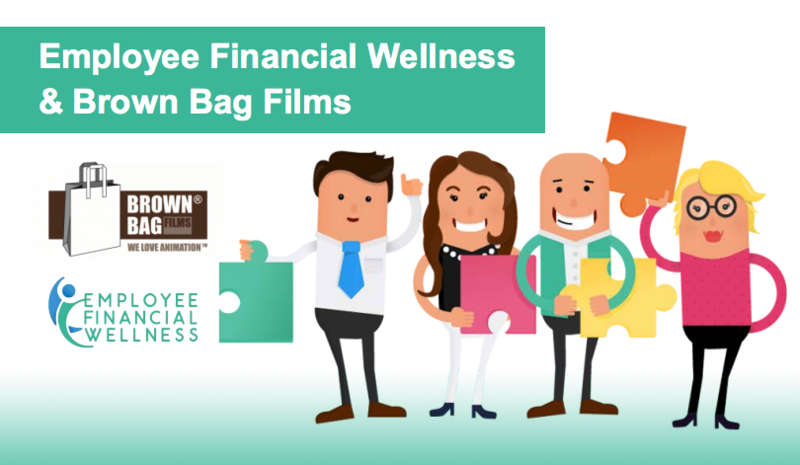 Brown Bag Films are consistently looking for ways to help the wellbeing of their employees and given that their employees come from all 4 corners of the globe, they felt that their employees needed some guidance on their finances. The Employee Financial Wellness team designed a programme of quarterly seminars and clinics that were based on giving employees a grounding in a variety of financial wellness topics ranging from Tax to Insurance, Mortgages to Retirement. The programme has been exceptionally well received and employees have found the seminars engaging, informative and fun. Employees have also commented on the value in the follow up that the Employee Financial Wellness team has delivered. Employee’s loved being able to take the detail of the seminar and bring that to an individualised clinic. There they can ask the questions that relate to their own financial situation and then come up with a personalised plan to address their concerns. We have found the Employee Financial Wellness team a pleasure to work with. They have helped customize a package that meets our studio and employees’ needs with a variety of talks, clinics and 1:1’s. Kieran has been great at providing our employees with the information they’re looking for to help them set achievable goals for both the short and long term. We’re delighted to have added this financial wellness component to our overall health and wellness activities in the studio and look forward to more pro tips from the Employee Financial Wellness team. The seminar contained useful information regarding the employees’ financial wellness and the 1-1 meetings complimented them with knowledgeable and personalised input from Kieran Ward. I’m really happy with the service I have received & the professionalism I encountered when dealing with the Employee Financial Wellness team – the financial advice I received from Kieran made a real difference when setting up my pension.